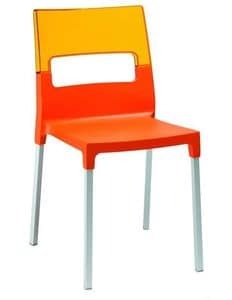 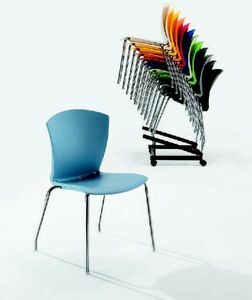 Chair with arms for waiting room and conference rooms. 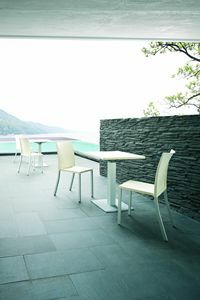 The profile simplicity is reflected in the costruction easy steps. 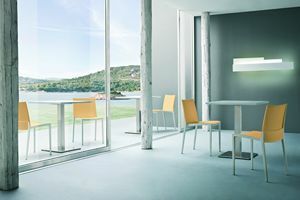 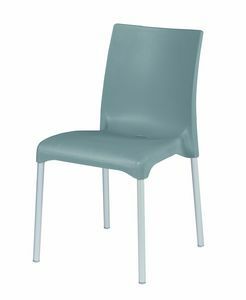 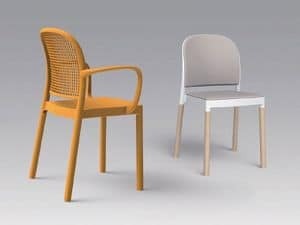 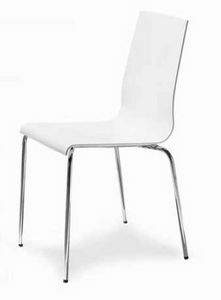 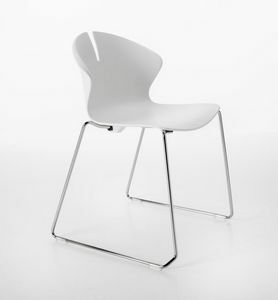 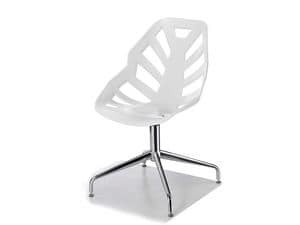 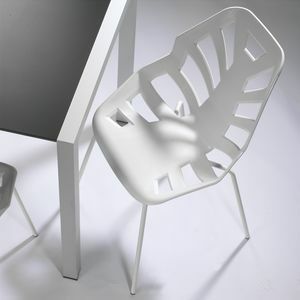 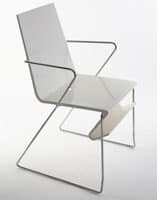 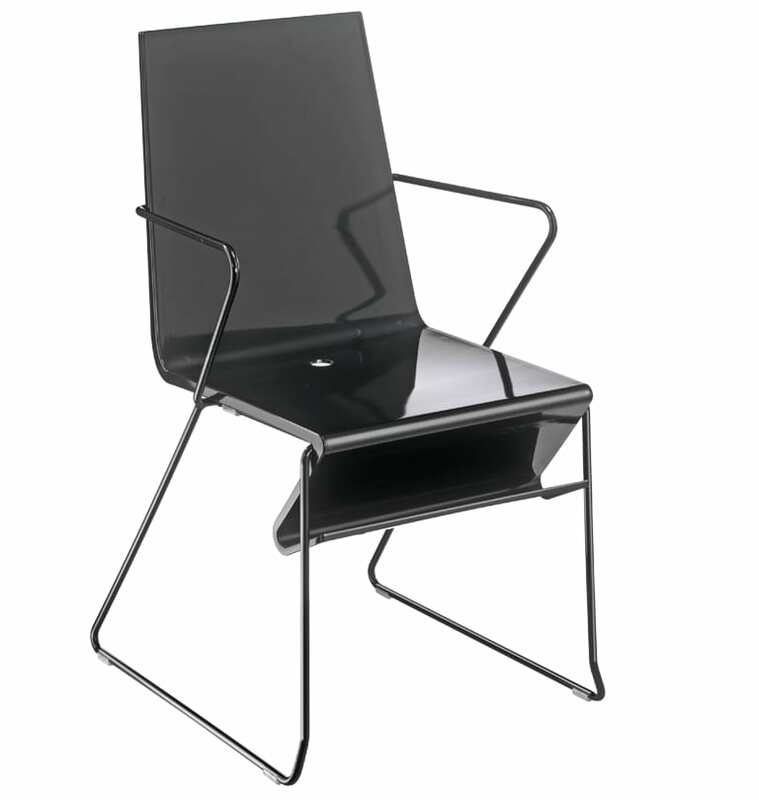 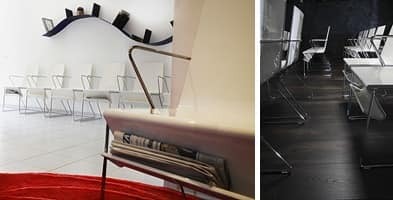 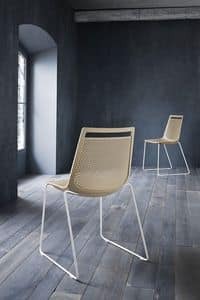 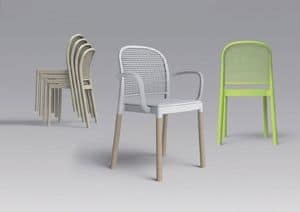 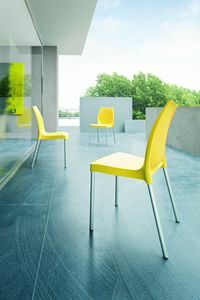 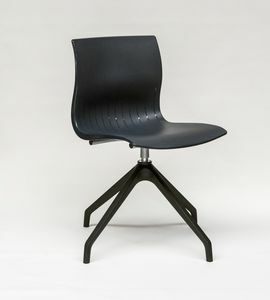 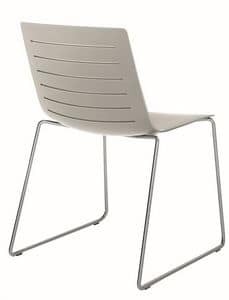 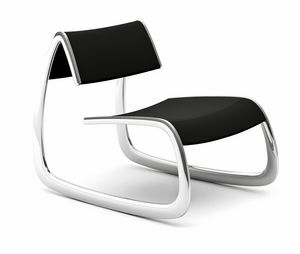 A unique body made with termoplastic material and polished finishing is held together by a filled steel round structure of 12 mm diameter in 4 structural points underneath the chair. 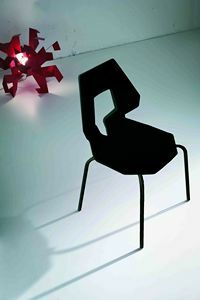 The shell is available in white, black and red.